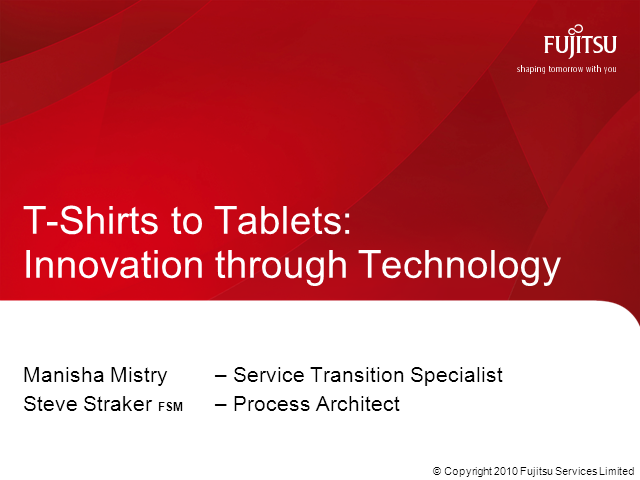 Our session brings together the old world of processes and the new world of technology. It asks probing questions of the make up of the next generation of IT consumers and service managers, asking: Are we ready? In understanding a simple retail experience and mapping it to mobile computing, can we really get the combination right and see processes we have relied upon for years, simply disappear through innovative technology automation? Come and join us in exploring what it may take to be market leaders in the future Generation Z world.